There’s a reason Vanessa’s YouTube videos get hundreds of thousands of views. And that she’s been able to build a full-time online business based on teaching English. Learning to speak English with Vanessa is a really incredible experience. Vanessa started out teaching English as a full-time teacher in Korea. But when she moved back to the United States, she found that there aren’t that many jobs for people who want to teach English to adults. So she created her own. For a taste of what it’s like to learn English online, you can watch her YouTube videos (this one has over 1,000,000 views). Even as a native English speaker, I’m a little jealous of her elocution. 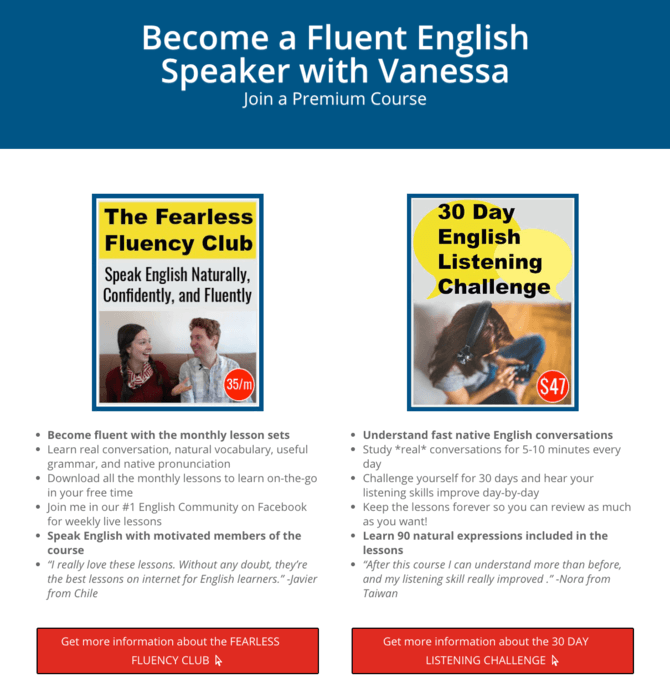 The course is comprehensive, and the reach of YouTube videos helps Vanessa find people who are interested in what she offers. But she needed a way to stay in touch with those thousands of viewers. She needed to be able to collect their contact information to offer the course. She needed a way to manage the people who join her courses. And for that, she uses ActiveCampaign. Vanessa has experimented with a variety of ways to attract new leads and customers. She’s tried Facebook Ads and Live Videos, but ultimately nothing could match the sheer reach of YouTube. YouTube is a natural channel for an English teacher. People trying to learn English need to actually hear people speaking English. Of course, thousands of YouTube views doesn’t necessarily make a successful business. A lot of YouTube viewers aren’t looking to buy anything. And even if they are, there needs to be a way to collect contact information and stay in touch—otherwise there’s no way to sell them anything! So Vanessa uses lead magnets. For people ready to buy, there’s the option to purchase her 30-day listening challenge. For everyone else, there’s a free ebook. Once people download the ebook, their information is stored in ActiveCampaign. Then, they can get tags and be put through nurture campaigns until they are ready to make a purchase. If you’ve ever run an online course, you know that people sometimes buy them and never follow through. If you want to help your customers get the best results, welcoming them to the course and automating reminders is a huge step. Vanessa hosts her course in Teachable, which integrates with ActiveCampaign. When new students sign up, tags let Vanessa see which course they’ve registered for. That lets her automatically welcome each student to the course. She can even send reminders when it’s time to move to the course’s next section. Like most online creators, Vanessa gets a lot of emails. Staying in touch with people from around the world—and hearing their stories—is one of the most fulfilling parts of her business. Of course, answering emails can take an awfully long time. And if you want to give meaningful, helpful answers to questions, it helps to know more about each contact’s challenges. For that, Vanessa uses the ActiveCampaign Chrome extension. The ActiveCampaign Chrome extension lets Vanessa see each student’s history from within her personal email. She can see which tags they have, which courses they’re a part of, and which automations they’ve gone through—which helps her give a more detailed and personal response. There aren’t that many full-time jobs teaching adults to speak English. So Vanessa created her own. Selling online courses through YouTube, Teachable, and ActiveCampaign lets Vanessa do what she loves. At the same time, automating sections of the business and investing in systems to create passive income means that Vanessa doesn’t need to sacrifice family time. Vanessa’s students have visited her from around the world (even though she doesn’t live in a destination city). Many countries don’t allow online payments at all—but Vanessa’s YouTube videos still help people learn English in those countries. 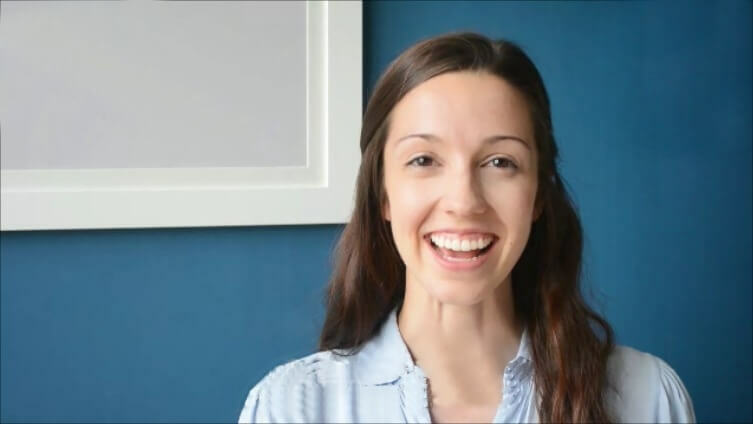 As Vanessa says, “ActiveCampaign really is that glue that sticks it all together.” By setting up a system to turn YouTube views into leads and customers, Vanessa is able to create English courses that reach people around the world.